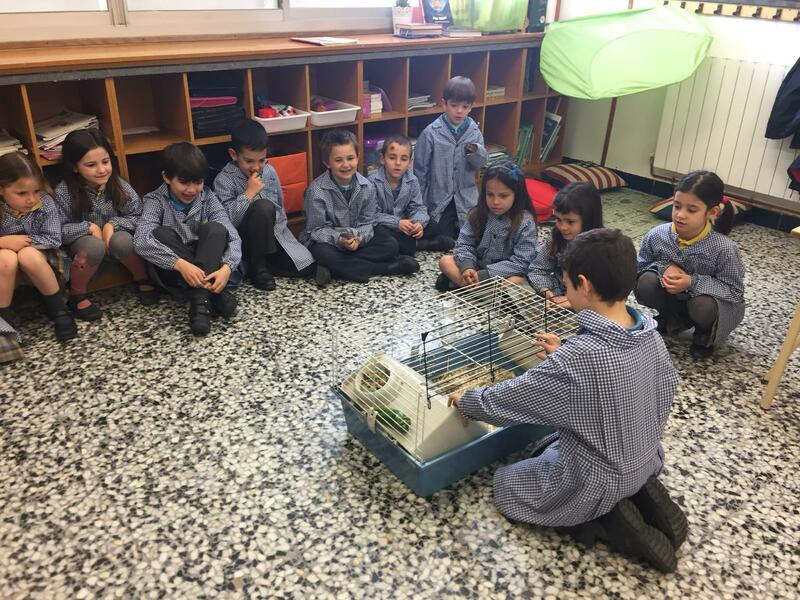 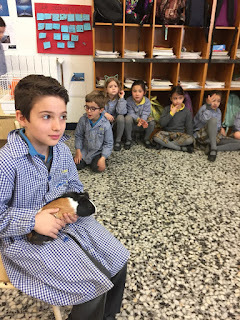 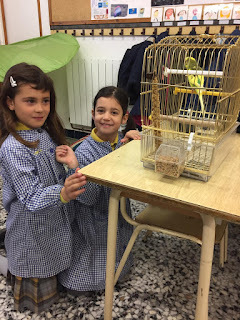 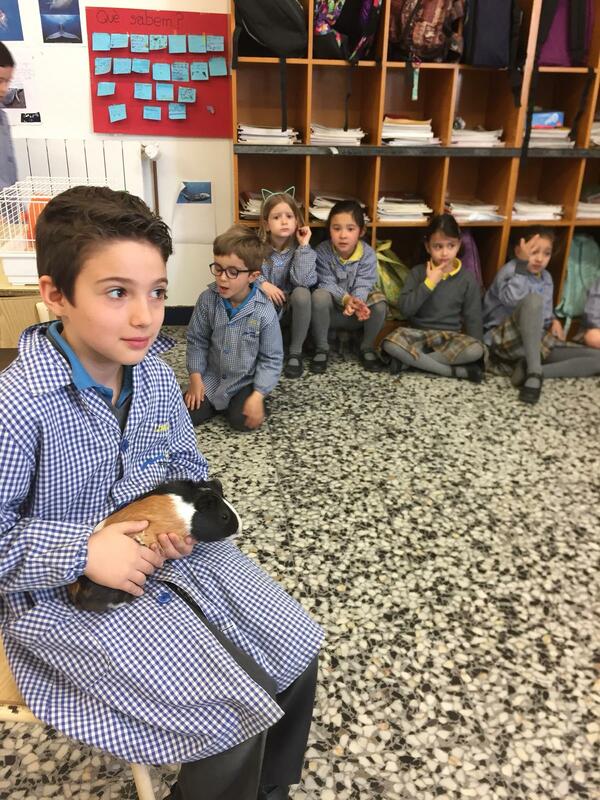 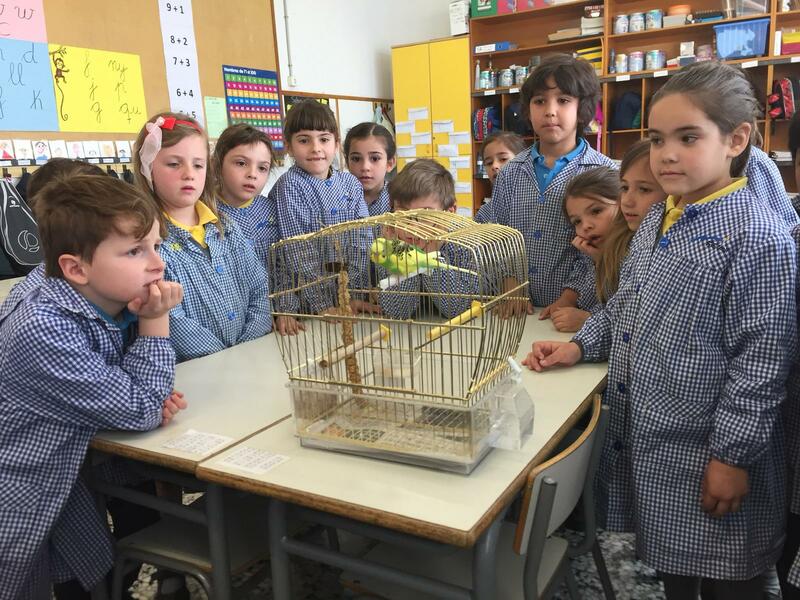 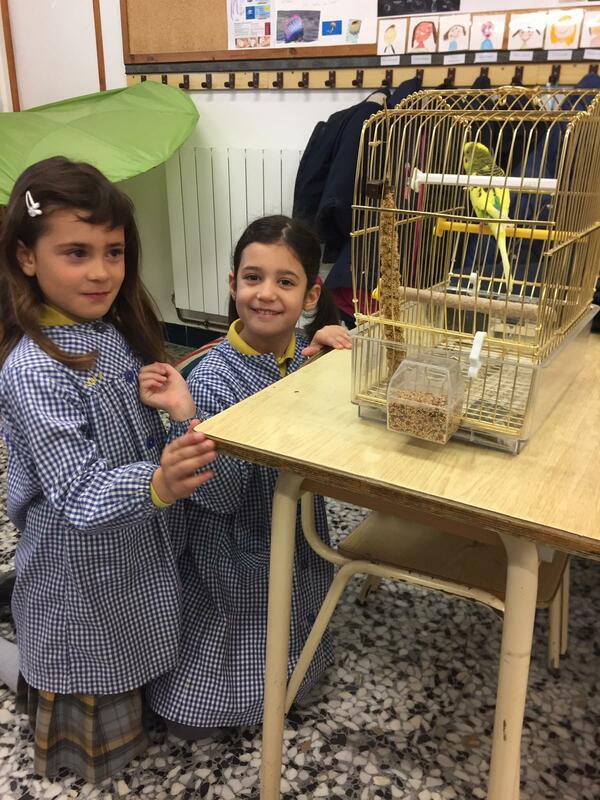 Last week we had four new pupils for a day in year 1 of Primaria. 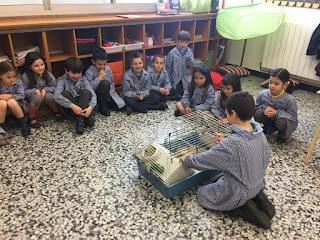 Lucia's pretty bird, Izan's guinea pig, Alvaro's hamster and Airí's turtle. 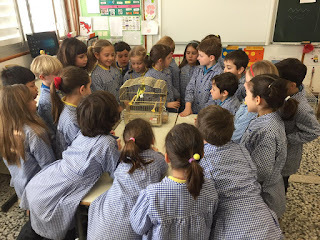 We could all see, touch and feel those four animals and investigate about what they eat and how they live. 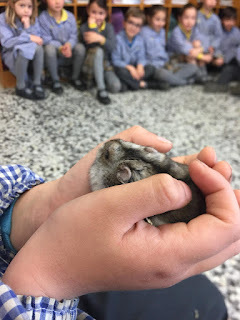 We has a very good time!